So you’ve just noticed the tell-tale stain of oil where you usually park your car and, on further inspection, the level’s down. There’s no doubt. You’ve got a leak. Now what? One course of action is to reach for a stop-leak product – but do they actually work and are they worth it? Firstly, let’s have a look at what causes an oil leak from your engine. While there can be a lot of reasons, the most common is a fault with engine seals – gaskets, O rings and other seals – giving up the ghost to varying degrees due to age, heat, mileage and/or pressure, causing said seals to shrink, harden or dry up. This creates a space between the seal and what it’s meant to be sealing, allowing oil to seep out. Stop-leak additives are designed to prevent that by reducing the amount of oil getting out of those spaces. Early versions used ‘mechanical’ methods – clogging the holes with (wait for it) nut shell particles suspended in castor oil. Others used sawdust and teeny bits of metals. As you can guess, nut shells, saw dust and aluminium sprinkles aren’t exactly ideal to have floating around in your engine and they didn’t just clog the leak but other parts of the engine. Yeah, nah. The next generation contained petroleum distillates to cause the seals to swell and therefore stop the leak, but these didn’t last long and the leak would return, better than ever. Today, the best stop-leak additives are actually absorbed by the seals and then expand the seals, returning them to their original shape, flexibility and size. Now that we’ve got that on board, let’s cut to the chase – do they work? The short answer is . . . sort of. While the new formulas will stop those leaks in many situations, they aren’t a permanent solution. The leaking seal will, sooner or later, need replacing. How long it will last, buying you some time, is not something that can be easily worked out with factors including which seal is leaking and the damage to it, heat, time, engine wear, usage and dumb luck all playing a part. And while there’s no evidence to our knowledge that the better stop-leaks will harm your engine, we reckon they are best as stop-gaps before you get that leak sorted out properly by an expert. Oil leaks can be a nuisance, or they can be the forerunner of something catastrophic and need to be looked at. We reckon that’s best done as soon as possible. We also recommend that any oil leaks be looked at by a fully qualified, local mechanic on AutoGuru. 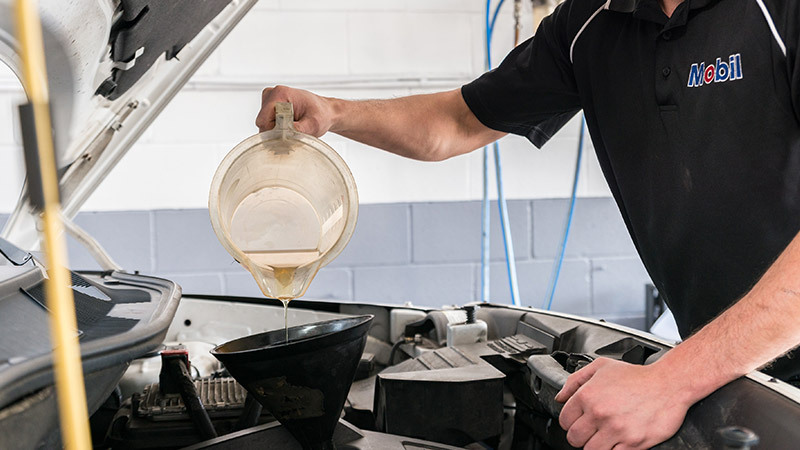 With an easy online quoting and booking system, you can be on the way to happy, oil-leak free motoring in no time at all! Lindsay Saunders has been writing, editing and producing words and photos for more than three decades, starting back when he drove a 1971 VW Type 3 fastback. Now he’s got a Hyundai I30 diesel, a 1999 LWB Hi-Ace (camper project) and wishes his wife’s EJ Holden station wagon was actually his.